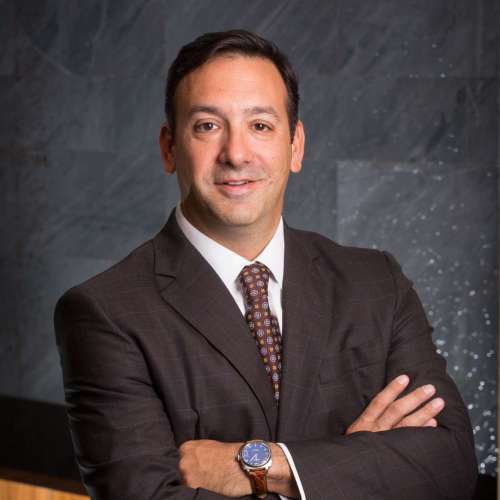 President, Bozzuto Development Company & Bozzuto Homes Inc.
Steve Strazzella oversees the day-to-day activities for the apartment and for-sale homes group. Between these two companies, The Bozzuto Group has developed more than 45,000 rental units from urban high-rise properties to affordable housing and built more than 5,600 townhomes, condominiums and single family homes in 56 communities through the Mid-Atlantic and Northeast regions. Steve has been actively involved in the real estate industry since 1989, having managed more than $1 billion in real estate construction and development projects for some of the largest firms in the country. Steve is a board member of the Washington DC Building Industry Association; an active member of the Urban Land Institute, The Economic Club of Washington DC and past President of the Washington Real Estate Group. Steve holds a bachelor’s degree in civil engineering from The Catholic University of America. A Washington, D.C. native, Steve currently resides in the District with his wife and three children.